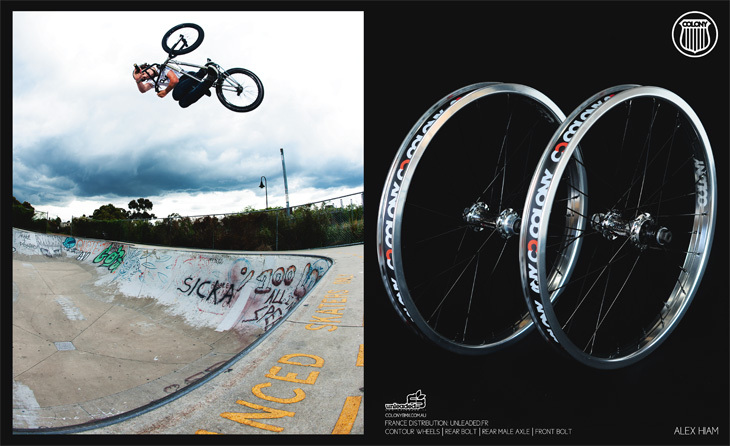 A recent print advert we had in RideUS featuring Chris doing a 360 table at Browns Plains park in Brisbane promoting his signature CC sprocket. Oskars Zajarskis recently built up a fresh new 2012 The Living frame in 21.25 as you can see below. Oskars rides for us through Par BMX in Latvia but has been living in the UK for a while now. 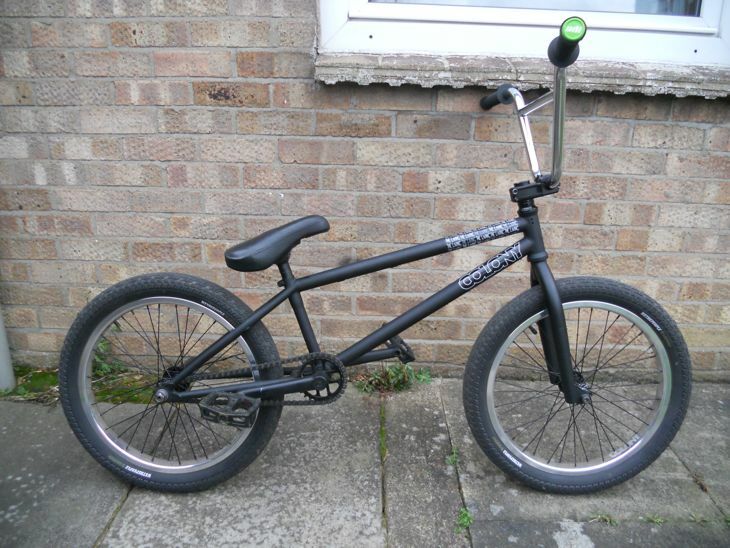 A special thanks to the guys at Alans BMX in the UK for getting the Oskars sorted with his parts. 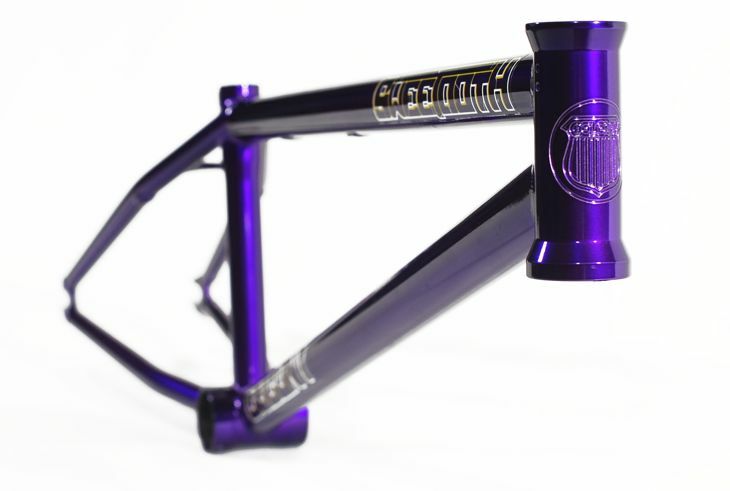 Strictly BMX, Kid Paris & Mick Bayzand have teamed together with us here at Colony to bring you some really special limited edition 2012 Teddy V2 Frames. Check back here or the Strictly BMX site later this week for full details. Alex Hiam fractured his left ankle Saturday while riding. He will be off the bike for at least 4-5 weeks, rest up mate. We can all expect to see Alex back on his bike in no time. In the meantime, check out his ten clips video below from. New for 2012 are our Teddy V2, Sweet Tooth V2, Miner & The Living frames. No matter what your size, style of riding or geometry favoured we have a frame for you. Check them all out here now & available at a dealer near you. Looking for a new complete bike? 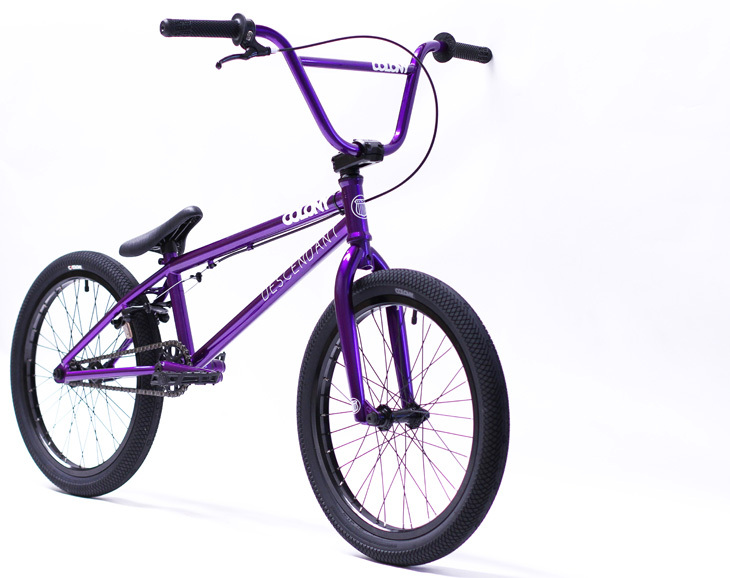 We’ve got you covered with our 2012 range of bikes such as the Endeavour, Descendant, Inception, The Living, Teddy Pro, Sweet Tooth Pro & Miner Pro. Check them out at a dealer near you now. Tabletop Distribution who are our exclusive distributors in the UK, have a booth set up at The Bike Place 2012 trade show. If you are a dealer & want to check out what we have on offer then get along to the trade show at either of the two locations of Harrogate & Silverstone. Click here for full details of the show. Back in early December of last year, we spent five days in Adelaide, South Australia riding a bunch of spots along with a few parks with the locals and this is the end result. This was all to promote the up coming Vans / Colony shoe collaboration collection being released worldwide, in March this year. 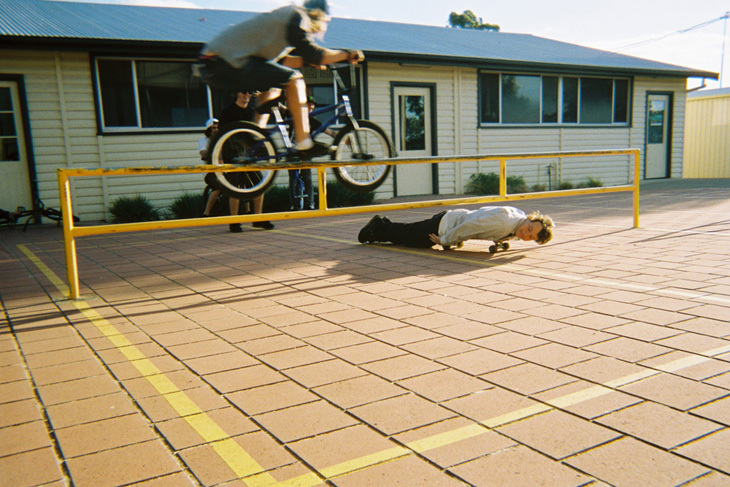 Filmed by: Clint Millar, Cooper Brownlee, Ryan Guettler, Mick Bayzand, Tom Stretton and Zac Miner. 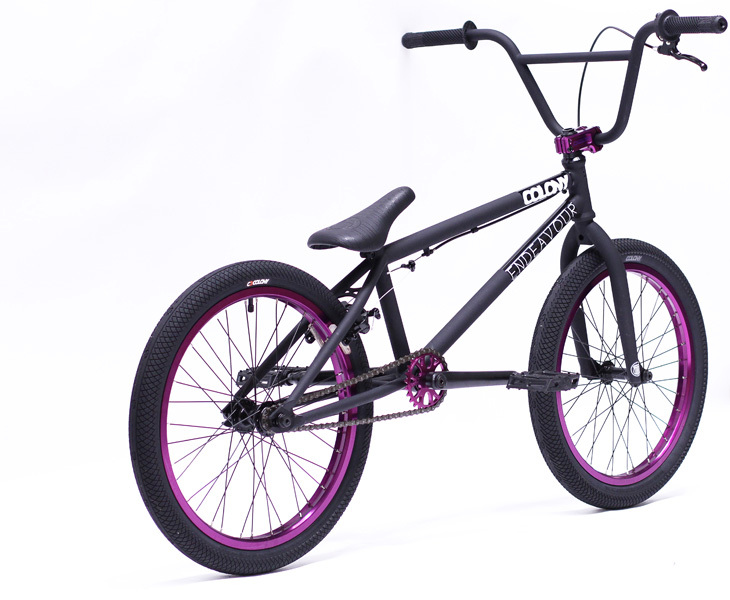 Vale BMX have had a few changes go on of late. 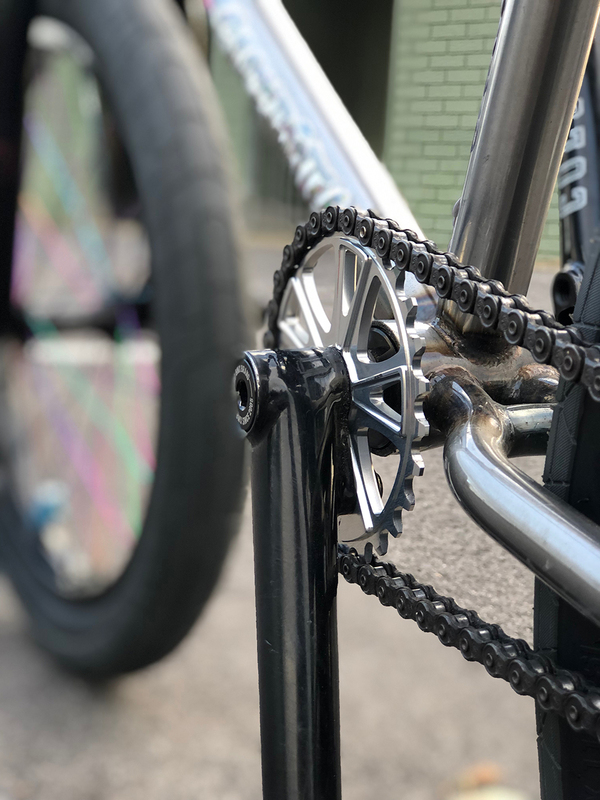 Firstly they have moved into a new location on Gold Coast & secondly they have officially had a name change to simply, Vale BMX. They have been strong supporters of Colony since day one & carry our full ranges ready to go. Their new location is more central for most on the Gold Coast, you can check out their new store by clicking here now. Defgrip have a Disposed feature up from the trip we did in December to Adelaide to help promote the Colab shoe we have done with Vans. 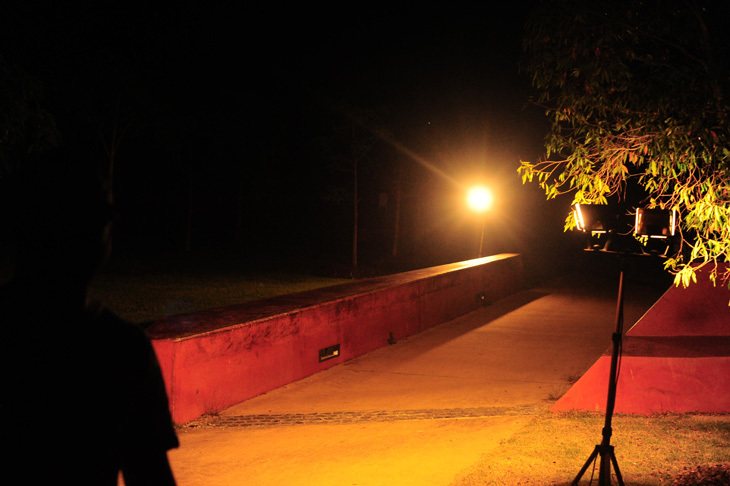 Planty of random moments to check out and the web video from the trip will be out very soon. Liam Zingbergs heads off today on his first trip to the states for a few weeks. He will be staying in Cali at Adam22’s place while there. Look out for regular updates from Liam on the site here from his experiences over there. Travel safe buddy !! Thanks to James Wade for the photos. The weather has turned bad up here in Brisbane so we have been confined to undercover spots. Mick slinging over a pool table yesterday. 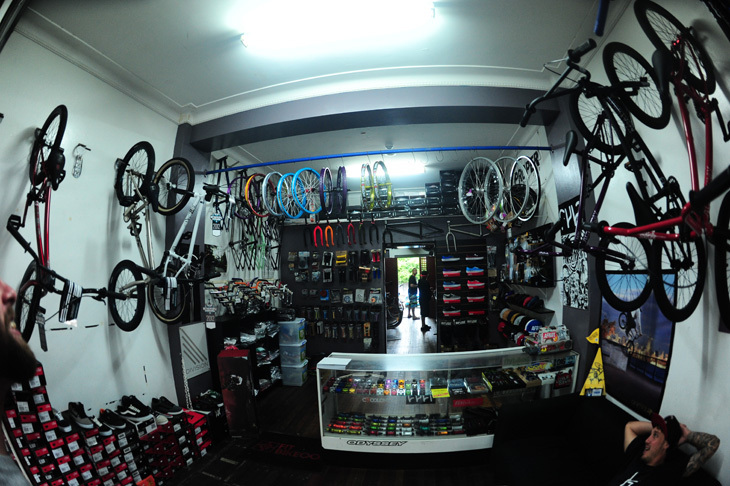 Crossley Cycles are one of the OG BMX shops in Australia. 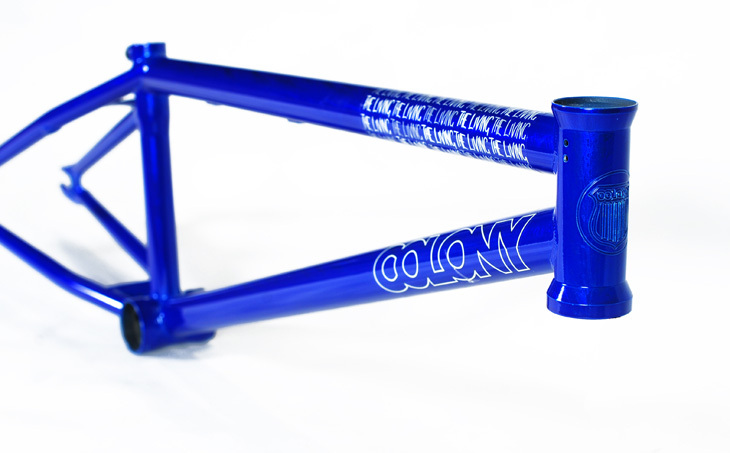 They have been BMX specific since about 1990 & were one of the first shops to stock Colony. 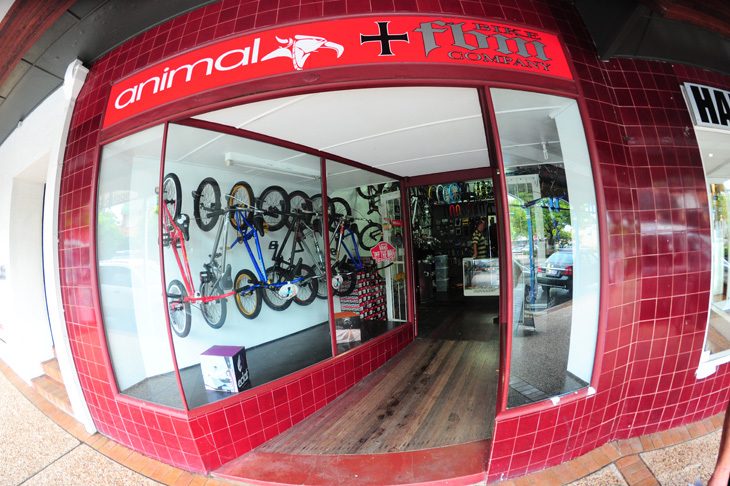 Check out their shop via their website here or in store if you are down in Manly, QLD. 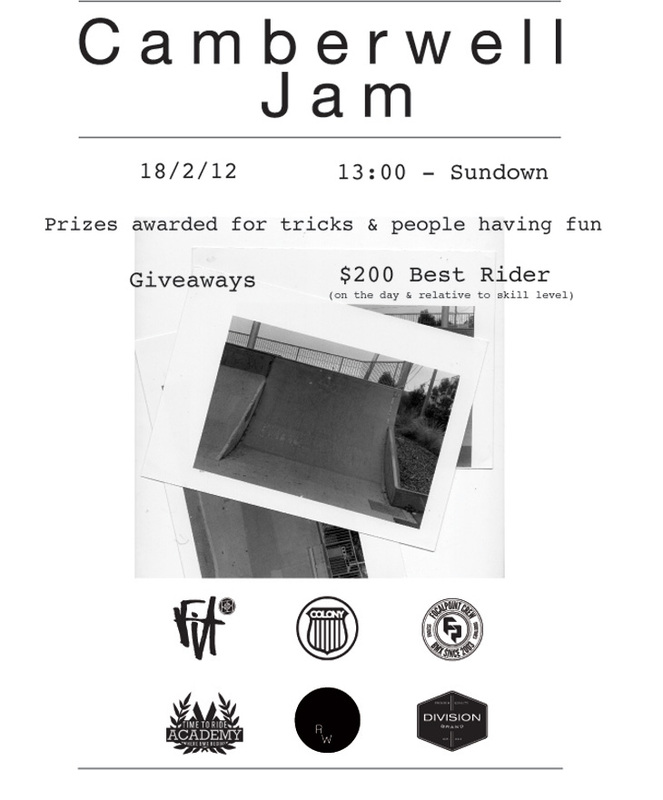 There is a jam going down at Camberwell park next month, make sure you get down there for a good time. If you havn’t been to Camberwell fairly recently, they have re-surfaced it which makes it alot lot smoother. 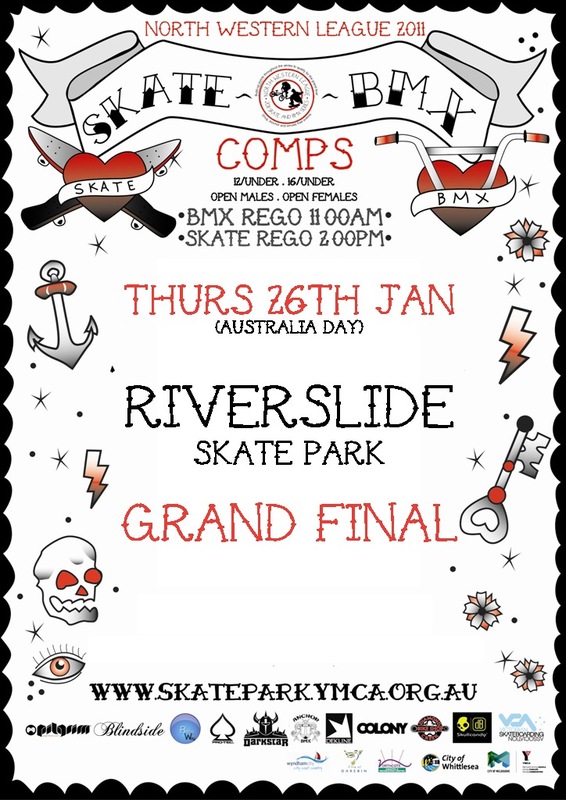 The grand final for the North Western League is on this Thursday, January 26th on the Australia Day holiday. Get yourself to the Riverslide City Park in Melbourne for a great day on the bike & your chance to win some prizes from us. See the flyer below for more details or check the website here now. 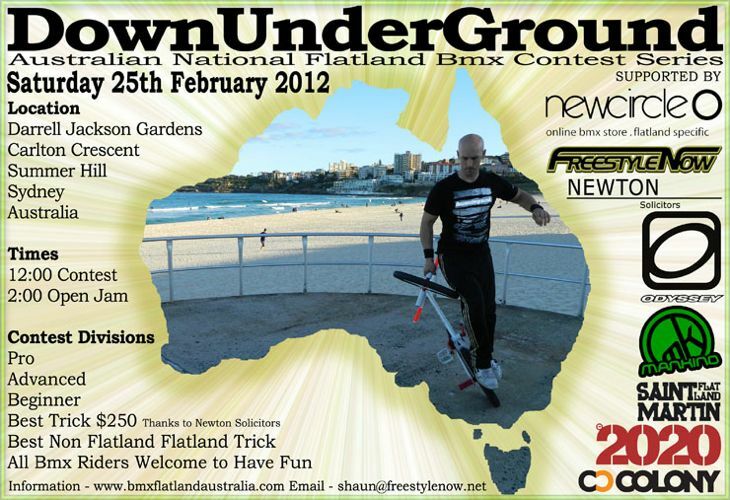 The DownUnderGround flatland comp series kicks off with Round 1 on the 25th of February down in Sydney. Check the flyer for full details. If your into flatland, you should get yourself there for this as it’s always a good time. From a recent filming with Troy Charlesworth for the new 2020 DVD. Coops seat ride to up crooks. Download here for widescreen and here for normal screen size. Today marks the 3rd year anniversary of Colony becoming an independently owned company. In fact, we turn 7 years old as a company, on May 13th this year. We will have something cool in the works for that, so keep an eye on here for details. I would like to thank everyone & anyone that has ever supported us as a brand & especially in these last 3 years. To all the riders, bike shops, distributors, magazines & websites out there we appreciate your support. It’s been a great journey with many more years to come ahead. We couldn’t do it without you all, so thanks !! The Summer Jam today !! Although, word on the street is there is no BBQ now but still plenty of giveaways. See you there. The generator saved us again whilst filming last night, goodtimes were had. 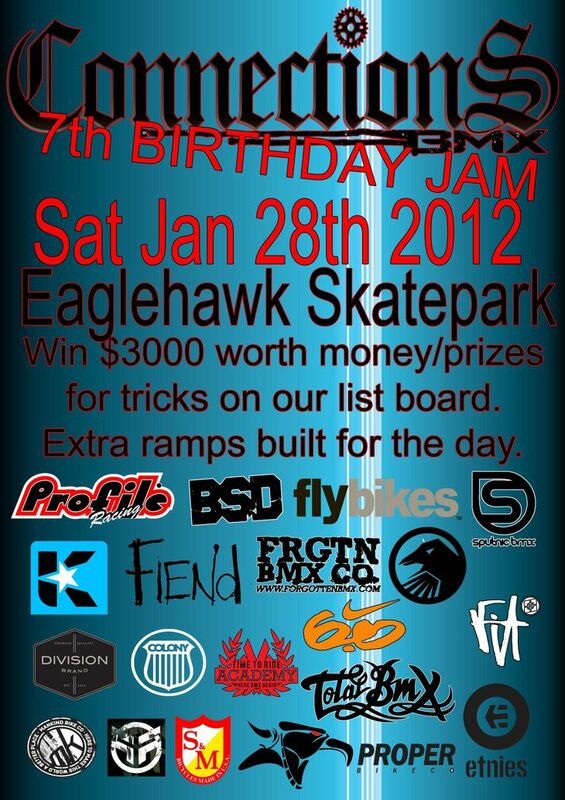 Connections BMX in Eaglehawk are turning 7 years old & to celebrate they are throwing a huge jam with plenty of prizes. Get yourself there on Saturday the 28th January for all the fun. I would like to take this opportunity to welcome a fresh new distributor for Colony in Poland. 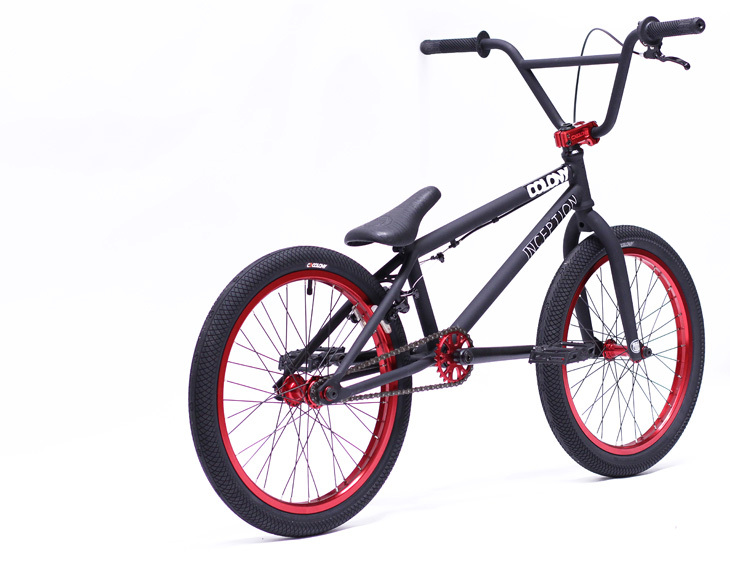 Ave BMX will be our new exclusive distributor for the country & they will receive their first order in the weeks ahead. 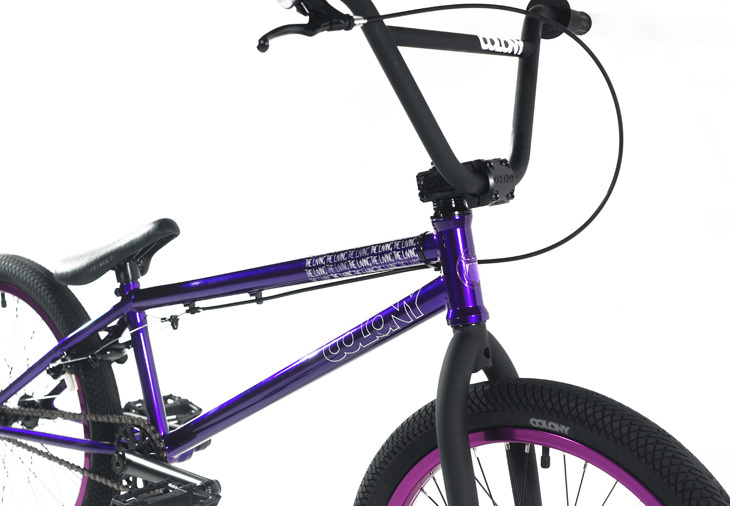 They will have our full range of 2012 products at hand including our 2012 complete bikes. So if your chasing our stuff it will soon be readily available in Poland. 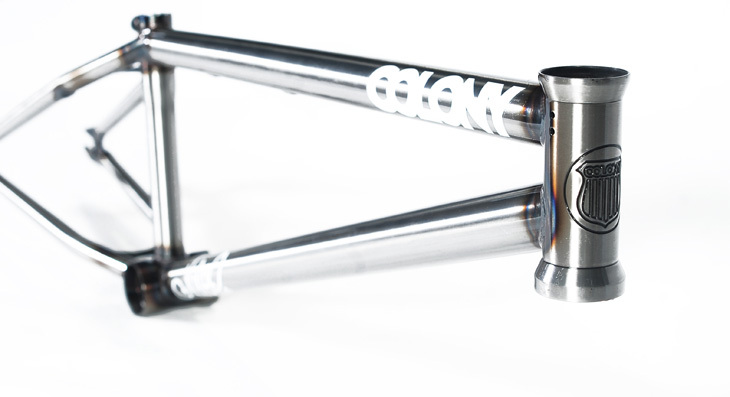 Contact the guys at Ave BMX for all your Colony needs from now on. Thanks for the support guys !! Ever wanted to ask Marnold a question? 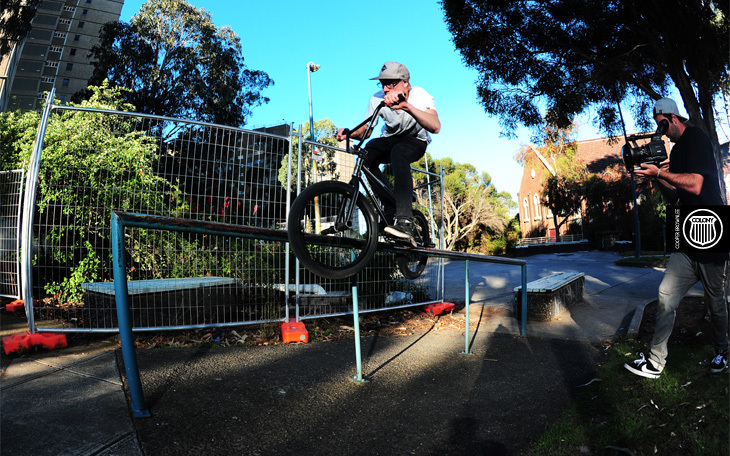 Well hit him up direct over on the Vital BMX site & your questions will be answered by the man himself. Click here now to ask away. Mick and I spent yesterday driving to Canberra which is about a nine hour drive for us then met up with Zac and Jacko and hit up a few spots. Originally we planned to leave Canberra at 9pm to drive the three hours to Sydney to stay there the night but we ended up lighting this spot up so Mick could get a real nice clip, it may have taken an hour and a half but it was worth it! We arrived in Sydney about 2am, it was a long day. 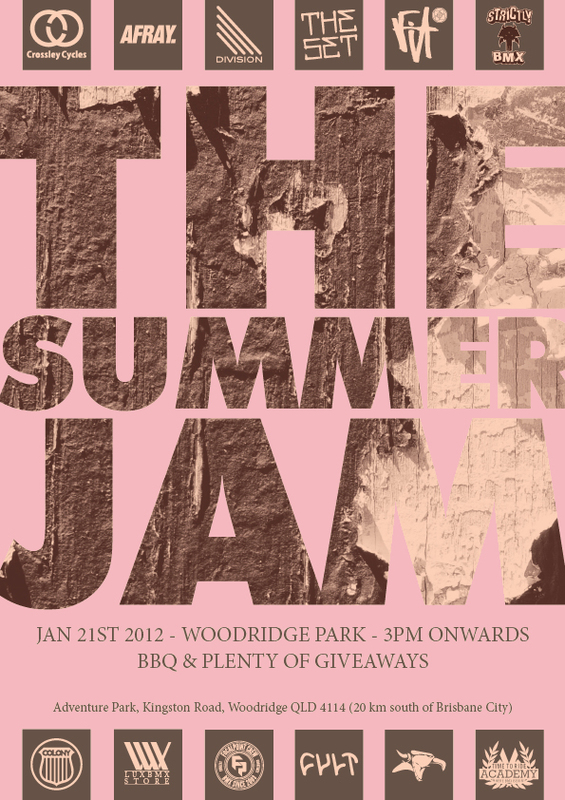 Don’t forget the Summer Jam at Woodridge skatepark this Saturday. A good amount of the team will in town for this one, should be a fun time for all. 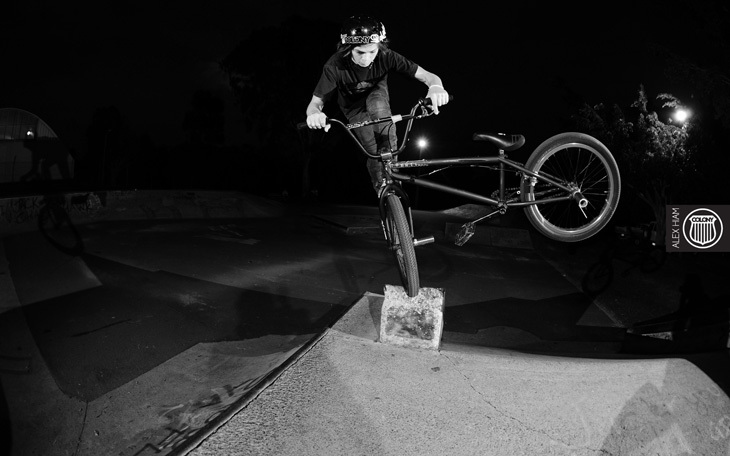 Alex at his local park Cleveland, footjam whip on the point of the ledge out of the quarter. Download for widescreen here and standard monitor size here. 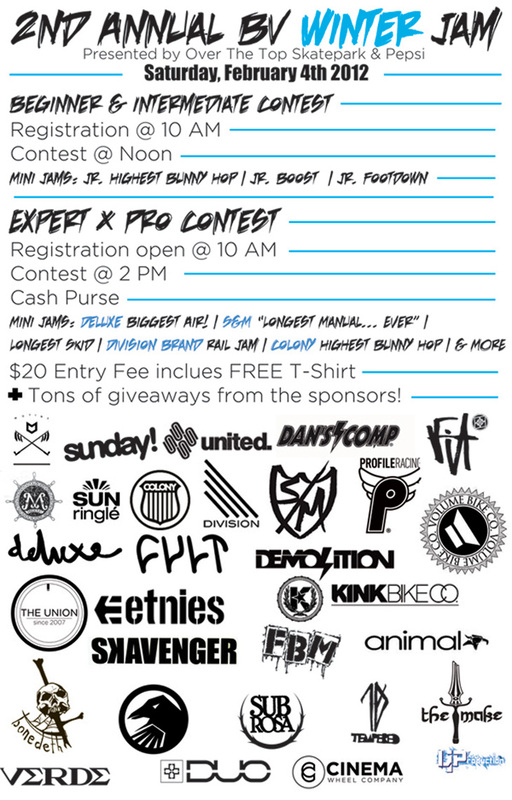 If you are anywhere near Minnesota BMX Union are putting on their 2nd annual jam which we are supporting. All the info you will need for it can be found here. 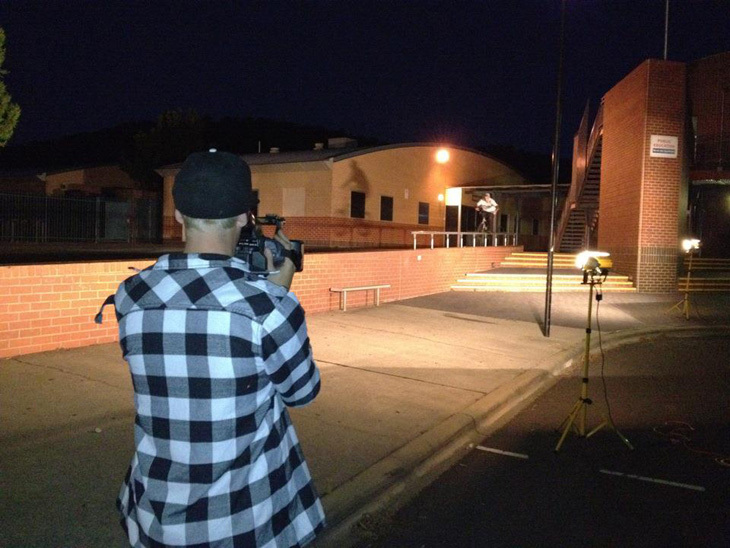 Mick has been putting in work of late filming for some web video projects, we got a real nice line filmed at this spot. Myself and Mick start the long drive to Brisbane tomorrow via Canberra and Sydney so we will keep you all updated on the random happenings from that. Wow… this is good. Every time I see new footage of Broc he just keeps getting better & better. So dialled. This is his official welcome edit for Odyssey, his parts sponno. 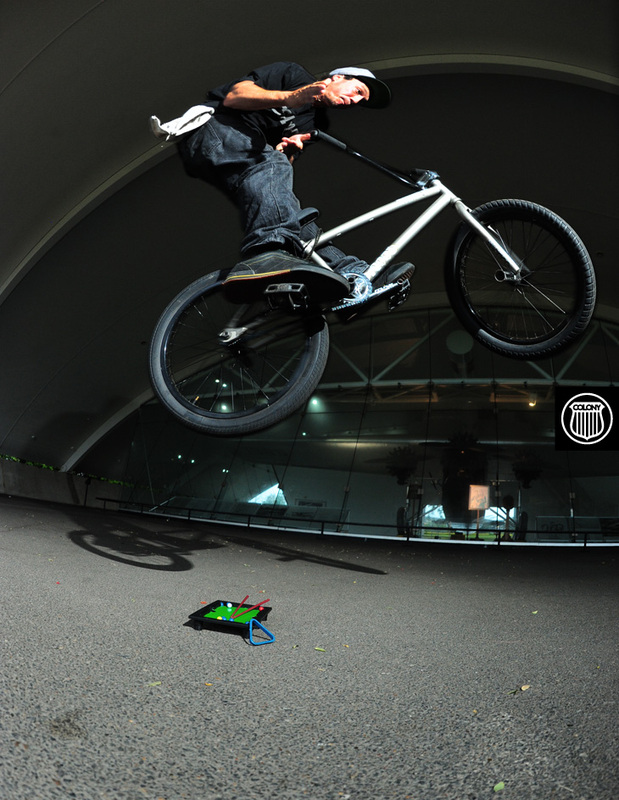 All filmed last week over a few days this really show’s Broc’s riding abilities. Broc is a weapon. 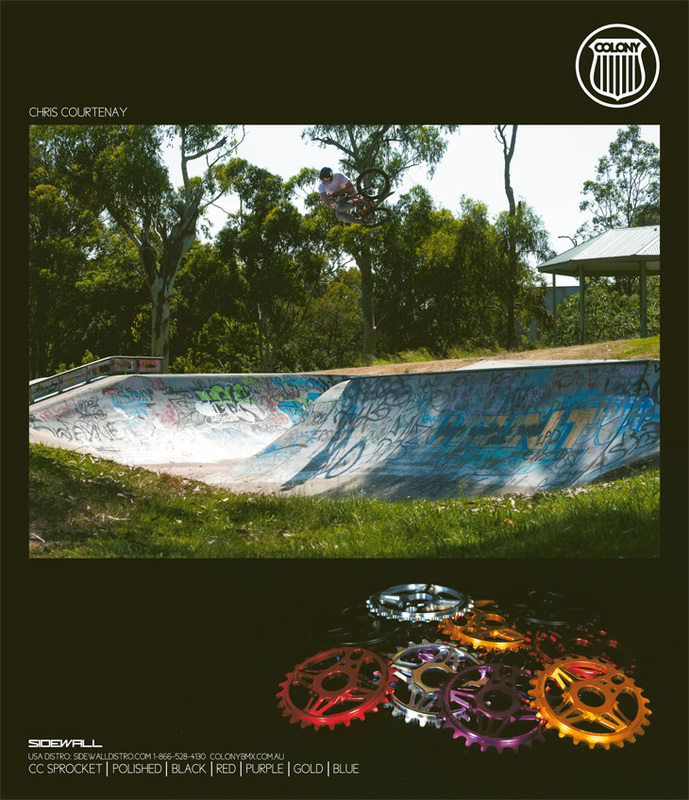 We recently had a double pager in the new issue of Soul, Alex Hiam with a booming invert at Northcote bowl in Melbourne.